50 represents the dividing line between expansion and contraction for the index of the above chart; which covers the Purchasing Managers Index (PMI) and New Orders. 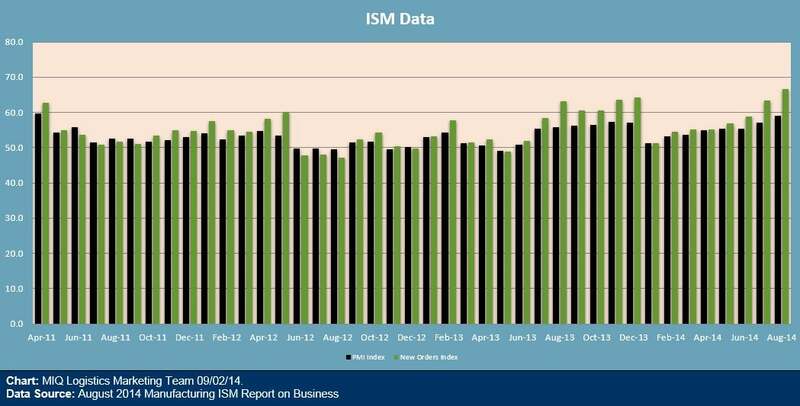 The PMI reading registered 59 in August, which is an increase of 1.9% from July’s reading. New Orders Index registered 66.7 in August, which is 3.3% higher than July’s reading of 63.4. >> Click here to access the entire report from ISM.